Summary: Since 2000, hundreds of community banks have converted to state charters. What are the pros and cons? A United Van Lines National Movers Study finds that last year IL was the state where the most residents moved out. A whopping 63% of moves there were outbound. IL was followed by NJ, NY, CT and KS who rounded out the top 5 outbound states. Meanwhile, the states seeing the biggest inbound activity were VT (#1 at 68%), followed by OR, ID, NV and SD. As you ponder your next move, we bring up another interesting banking topic around state charters. Some community banks have been dropping national charters and shifting to state ones. Consider a WI community bank that recently converted from a national to a state charter. It was followed by 3 others who applied. That conversion trend in WI is being repeated elsewhere around the country too. Since 2000, hundreds of community banks have converted to state charters. There are, of course, pros and cons to each type of charter, but banks that have made the switch typically point to a few main reasons for converting. One that is commonly cited is that state regulators just get community banks more than national regulators. That is very difficult to prove out, but banks often say it, so we repeat it here. Switching banks also point to cost savings, and some say it gives them a boost in earnings. Some of this might make sense as national banks do tend to pay more in regulatory and examination fees than state chartered banks. That said, there are many filing and legal fees associated with switching charters and the grass isn't always greener so do your research. Banks that have converted to a state charter may also benefit by having local access to regulators. Regulators of all types are reaching out to banks these days, but some analysts say state-chartered banks gain an added benefit of working with local decision-makers who do not have to check with DC on meatier issues perhaps. Still others say state regulators should also have a better handle on issues weighing on banks in their state, of course. This can be true but we have also interacted with plenty of national regulators that are also quite adept in addressing such things, so again think and analyze before leaping. Another thing some community banks point out is that the nature of their business isn't about operating nationally, so such a charter is overkill. After all, they point out that unless the bank has operations in several states, the value of leveraging federal law to pre-empt state laws is moot. Certainly, the conversion process is time-consuming and it's not a decision to be made lightly. It is also dependent on the banking laws in your state, so do your research and talk to experts. After all, you wouldn't want to go through the hassle of converting, only to discover that some of your activities are now limited based on your new charter. Clearly, there can be advantages and disadvantages to switching from any charter to another one. So, depending on your bank and the state, your executives and board might consider a fact-finding mission to determine whether or not it's an option worth pursuing. After all, it never hurts to get moving on exploring things that might save your bank money down the road. S&P Global Market Intelligence reports the top 10 banks by market capitalization as of the end of 2017 were JPMorgan ($371B in market cap), Bank of America ($308B), Wells Fargo ($299B), Citigroup ($197B), US Bancorp ($89B), PNC Financial ($69B), Bank of New York Mellon ($55B), Capital One ($48B), BB&T ($39B), and State Street ($36B). JPMorgan research indicates a spike in inflation or bond yields is perhaps the single biggest risk factor facing stocks. They indicate that while a 10Y Treasury yield below 3.0% should not be a material issue, going above that could be, depending on how fast yields rise. Gartner reports that artificial intelligence (AI) tools will provide $2.9T in business value by 2021, incorporating a saving of 6.2B hours of worker productivity. By 2020, AI is expected to eliminate 1.8mm jobs, yet it will create 2.3mm new jobs for highly skilled management and some varying levels of lower skilled. The industry hit hardest by AI-replacement jobs will be manufacturing. Audit Analytics research finds 37% of S&P 500 companies provided investors with information on how they chose an audit firm vs. 31% last year and 14% back in 2014. CFPB research finds the average credit score for a borrower who takes out a 6Y car loan is 674 vs. a score of 713 for those who take out a 5Y loan. Bankers welcome tax relief. But, there are some nuances needing careful review to make the most of the new tax plan benefits. 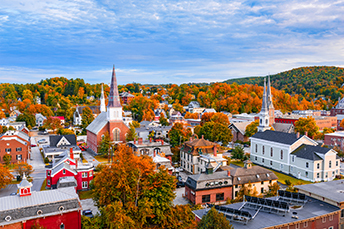 To learn more, download our white paper, "New Tax Overhaul: What It Will Mean for Your Community Bank and Your Customers" today.